← My Dress Is Older Than Me! We’ve had a brief respite for the onset of winter, enjoying some time visiting in the hot and sunny Okanagan. It may not be winter in your part of the world, but suddenly it seems to be winter in Yellowknife. It was minus 17 the other day, with the wind chill. It seemed that autumn was about 2 weeks long, and now its over. Here in the Okanagan we so far have escaped that first cold day of winter, which always takes my breathe away and make me wonder if I really do love winter, after all. Yet here we are in this dry land, driving around in the Mini Cooper with the top down, sitting outside in the sunshine and experiencing weather that might as well be summer, with highs of 25 degrees. Boy, are we in for a shock tomorrow when we go back home tomorrow! While here, we checked out some of my favorite local wineries. 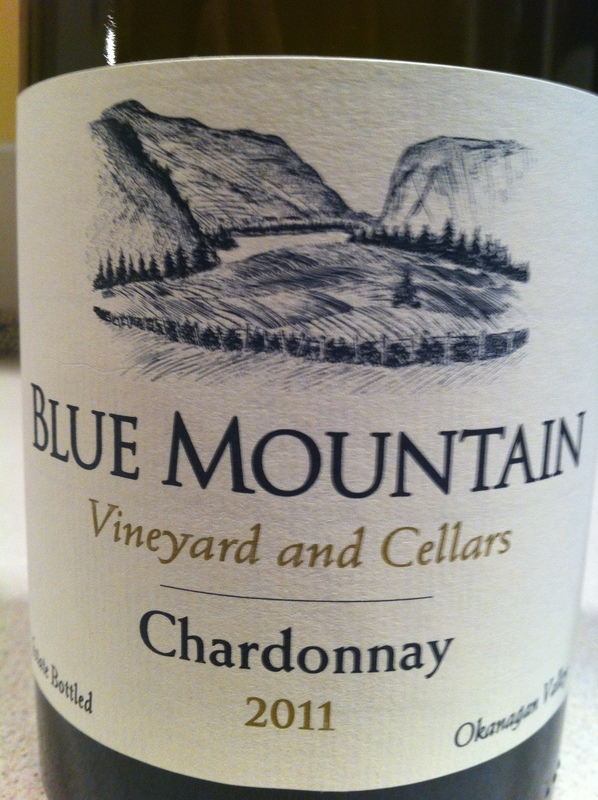 I’ve always wanted to visit, buy, and of course drink some Blue Mountain wine, and this year my chance finally came. Along the way we also stopped at some of the neighboring wineries: Wild Goose, Stags Hollow, and The See Ya Later Winery, with a view alone that is worth that the hilly drive up, a drive that would cause many a self respecting cyclist to break down and weep, or at the very least, believe themselves on the Alpe d’Huez. We also had lunch at the spectacular Burrowing Owl, with more wonderful views of vineyards that stretch out in all directions. 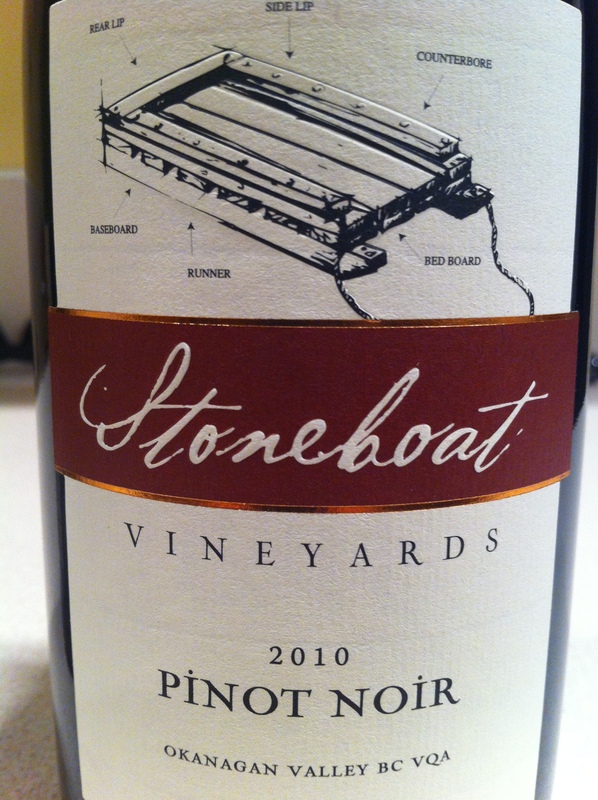 And, we picked up some Pinot Noir from another favorite winery just down the road, Stoneboat. I love this wine. But in a great day of scenery and wine, Blue Mountain is memorable. 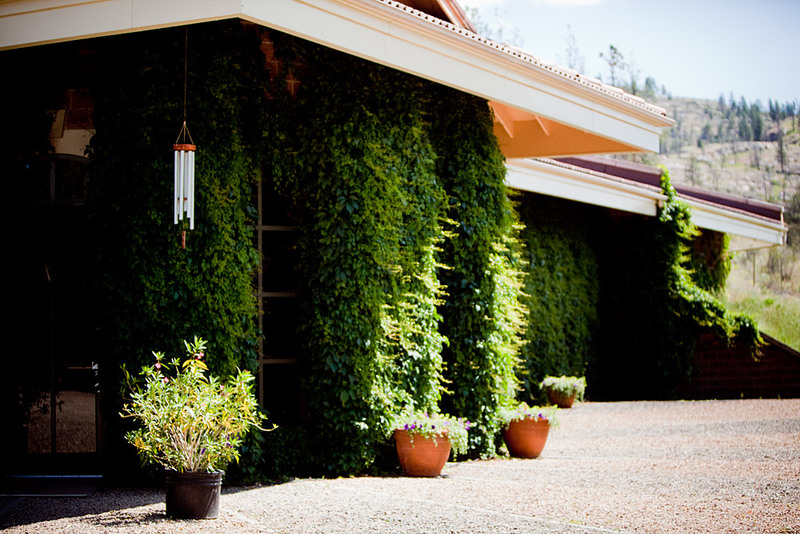 The drive from the road to the winery must be 3 or 4 km – winding slowly up and up, past a few farms and some forest. I had no idea the Okanagan could look like this, so rural and undeveloped. The family farms some 80 acres, and you drive through most of it on the way in, rolling hills and vines leading the way , so that at the last corner you really wouldn’t be surprised to turn and find an Italian Villa. The main building, while not a villa, has an impressive yet pleasing presence, in an understated Canadian way. It seems just right. And the view! Oh my. 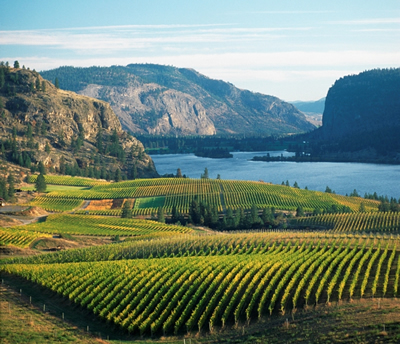 A sweeping view filled with vineyards, overlooking beautiful Vaseux Lake, with its dominant rocky cliffs. You might be forgiven if you thought that Vaseux Lake was in a wilderness setting, because from here, no sign of the straggling and ill conceived development along the shore is visible. You might also be forgiven, if after the drive, that view, and the wine tasting, (we tried the Chardonnay, one of my favorite BC whites, but alas not their memorable Pinot Noir – sold out) you have the passing thought that you missed your chance to marry into this family. I never did see the son, (?is there one) but who needs to really- with that land, that view and that wine, he’s a catch, no matter what. Just to be clear, I am happy to be married to my Spanish love, and not willing to trade him for anyone, but let’s just say, that thought did cross my mind. Tell me about your favorite wine, the one you’d be willing to trade your family for! This entry was posted in Food and tagged best view ever, Okanagan wineries, wine. Bookmark the permalink. Just love this Tandi. Jerry and I spent the last week of September in the same area visiting several of these spots. We had our mountain bikes and took day trips on the Kettle Valley Rail Trail. To celebrate our 40th we stayed two nights at the Burrowing Owl Guest House – lovely! I would love to stay there – it looks very glamorous!